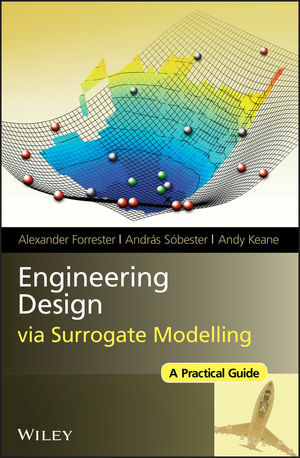 This site is designed to accompany the book “Engineering Design via Surrogate Modelling: a Practical Guide”. Here you will find the Matlab toolbox, used extensively in the book, further example scripts, and also a forum for topics surrounding the use of surrogate models. We have recently updated the code here to use ‘anonymous functions’ instead of ‘global variables’. This means that examples cannot be copied verbatim from the book, but alleviates confusion with local copies of global variables when implementing more advanced methods. Do let us know how you get on with the new version. The links are all broken. I checked and they seem to be working fine. I am not able to get the files either. I get the following dropbox error message: That file isn’t here anymore. Someone might’ve deleted the file or disabled the link. Inadvertently moved the files to another location! Sorry – fixed now! Thanks for the quick response and fix. The links are all broken again. Just checked and seem fine! Could you please send a copy of ‘Matlab toolbox’ to my email–m201570305@hust.edu.cn. I can’t open the link after many tries.